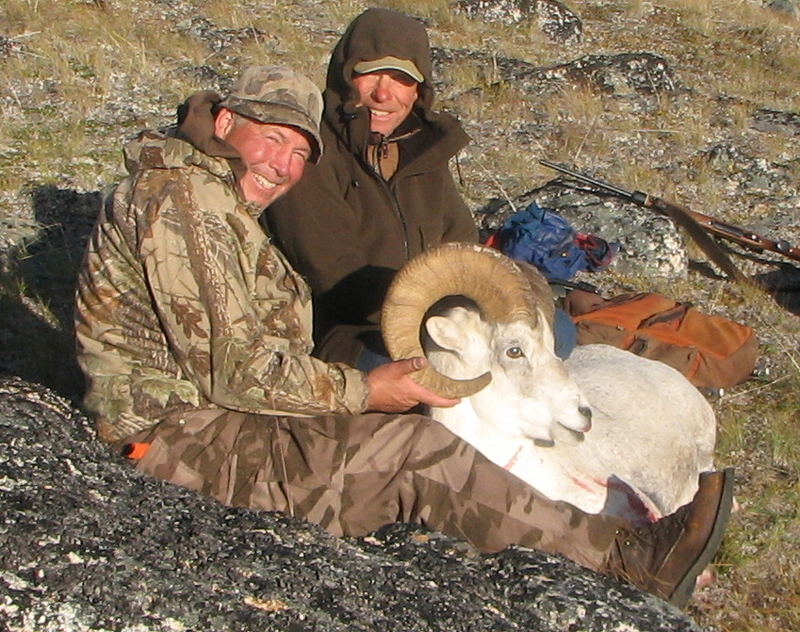 A couple months after the 2006 Buck-O-Rama, I purchased a northern BC Stone Sheep hunt. Having hunted mule deer since I was 21, I wasn’t sure exactly how I’d be getting all the value out of the hunt, because a great mule deer hunt could be purchased for less than one third the price of the sheep hunt. However, I wanted to find out for myself what was so good about hunting sheep. As you’ve probably figured out, sheep hunting is very much like hunting remote-country mule deer with that one major exception. And, if you like, you can hunt great remote-county mule deer on a self-guided hunt for less than a couple thousand dollars. The out-the-door cost of my two week 2006 BC stone sheep hunt was almost exactly $25,000, not including equipment costs. My typical mule deer hunt costs between $100 and $2,000. This last fall, I archery hunted mule deer in Alberta for a week and paid about $7,000 including all costs. Although I’ve never paid for a two-week pack trip to hunt trophy mule deer, I’d imagine that a exceptional two week wilderness deer/elk hunt could be had for $10,000 including travel. Not all sheep hunts cost $25,000 either, but that is a good representative number. I’ve had many questions asked since the returning from the hunt, most of them from my spouse, Linda. Worthy questions, but difficult to answer, because I didn’t want to endanger my future hunting options and I can honestly say that I didn’t attempt to compare hunts from a financial perspective. Why not? Because that’s what the hunt cost and I decided to do it. In retrospect, I’m now much more prepared to evaluate the situation than I was before the hunt. What did I get for my $25,000? I got travel from my front porch to a remote wilderness camp at the base of a BC mountain where several legal stone sheep rams resided. To get there I traveled in a limousine (one hour), 737 commercial jet (five hours), pickup (two hours), float plane (half hour) and on horseback (four hours). After that came the hiking and there was plenty of that as well. Naturally, the process was reversed for the return trip. There were many meals, about 50 of them, ranging from steak and eggs to moose meat sandwiches with great home baked bread, rolls and pies. But, I didn’t go there to eat. My entourage included outfitter, guide, wrangler, cook and assistant – not to mention the concession owner who tagged along and helped out for about half the trip. I’ve never had so much attention. And, with the four hours a day of horseback riding for eleven days in a row, I needed all the help I could muster to get on and off my pony. What did this entourage do? They did everything, but dress me and wash me. Meals were all prepared and coffee brewed constantly. When I needed a horse, it was ready. These people made sure that I had all the support necessary to make sure I would have my best chance to bag a ram when the opportunity presented itself. That’s all I could have asked for. To be valid, the outfitter had to provide me with a legitimate chance to bag a ram. That was the case. In fact, we found a legal ram the first day out of camp. We spent the first four days attempting to get in position to stalk the ram and take him with archery equipment. On day four, it looked as though we would finally get into position for a chance with my bow. However, the legal ram and six younger rams with him moved off before I could get into position. I spotted them at 100 yards, staring in my direction as I stalked the spot where they had been. After four days of failure, I reconsidered my prospects for taking a ram with bow and arrow and elected to switch to the 300 magnum. On day six, I connected with a beautiful ram. On the remainder of the hunt I searched unsuccessfully for a mountain caribou to shoot with my bow. I think that answers the first question. My best answer for that came from my mother who told me she never regretted the things she’d done, only the things she’d not done. That statement covers it for me, but there is more. Each activity or action we undertake becomes part of the richness of our life. If you can find a way to afford a trip like this, by all means take it. There’s nothing that can replace the first-hand experience of a wilderness hunt for sheep. For those who decide they don’t think the product justifies the price, go mule deer hunting and don’t look back. In my opinion, mule deer are every bit the quarry that sheep are. Hunting mule deer is not sheep hunting, but it’s very similar and can be every bit as satisfying, challenging and exciting. Mule deer are sheep with a little less sizzle. Since my return, people keep referring to my sheep hunt as “the trip of a lifetime.” Mistakenly, I used to think that meant that I could go only once. Lately I’ve realized that “trip of a lifetime” only means it’s the trip of a lifetime so far. 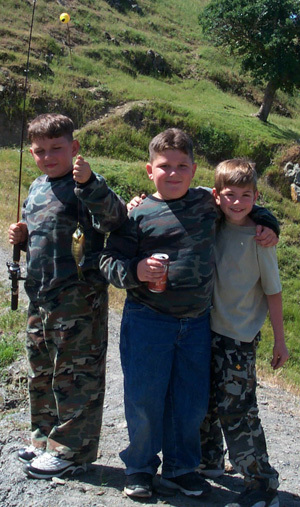 Caption: The first ram was the smallest, the second was almost legal and the third is the one I eventually shot. 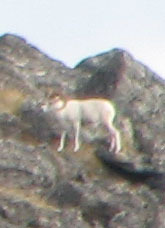 The photo was taken from about 600 yards about two hours before the shot. I knew LR Teeken for two hunting seasons before I ever questioned the source of his name. I’d heard a few of his close friends refer to him as “Lightning.” and I’d mistakenly assumed it was a sarcastic expression as LR never responded to anybody very quickly. Upon learning of my misunderstanding, and that his real first name was Stephen, I had to ask where the initials LR came from. He got a sheepish look on his face. I knew he’d tell me, but first I had to earn the right to hear the story. Eventually LR began to talk and this is what he told me. LR liked to hunt from a tree stand, and one of his favorite stand locations was in a hell hole over the top of backbone ridge. Each season, LR would carry his tree stand several miles up hill to the highest point on the ridge, and then drop down for about a half mile to a small group of beaver ponds and elk wallows. I never figured out exactly where the stand was located, in fact I always stayed away from that side of the ridge because I knew if I heard an elk bugle down in the bottom, I might go down and kill an elk in a spot where I’d have to eat it rather than carry it out. Anyway, LR kept on talking. It turns out that a few years back, he hunted in that stand on the next to last day of the season. Although there had been a bunch of elk in the area, previously, the end of the season had brought on a series of fruitless hunts, and LR decided to carry the tree stand out that evening rather than come back after the season. As LR unbolted the eight-foot chain that attached his stand to the tree, he took note that a storm was brewing. Rather than still-hunt through a patch of timber, as he had originally planned, LR decided to head straight over the mountain and to avoid the brunt of the storm. LR was always in good condition, but with it being nearly the end of elk season he was in top shape. He hiked up the mountain with that ten-pound tree stand strapped to his back pack as though he were on a Sunday morning stroll. He wasn’t even breathing hard as he came to the clearing near the top of the ridge. Per LR, it was at this point that he heard the thunder that made him feel a bit uneasy. Now LR was no dummy, and he had enough experience in the woods to know that lightning was no laughing matter, especially with a ten-pound metal tree stand strapped to his back. The thunder was a ways off though and he figured that the chances of making it over the ridge before the storm arrived were good. He had only a couple hundred feet to climb, and maybe a quarter mile to go before he’d be over the summit. The wind was picking up considerable and the rain started to fall in large drops. Before LR knew it, he was hit by driving rain that soon turned to hail. Now he had to choose – sit it out or push on into the brunt of the storm. The lightning was closing in. As the time intervals between thunder and the flashes of lightning grew shorter and shorter, LR made the decision to move on over the top of the ridge and get to his truck before total darkness hit. As he cleared the top of the ridge, LR debated about whether to stay out on the open ridge top or travel in the cover of the timber. It was at this point he took a direct hit. The jolt of the lighting bolt knocked LR out cold. He awoke a few minutes after the lightning strike – laying face down in the muddy trail. Now comes the part of the story that demonstrates just how clever LR was. He would probably not have survived the direct hit, but in preparation for such an electrifying event, LR had loosed the chain of his tree stand and had let it drag in the muddy trail. The lightning bolt actually melted the last two links of the chain together, an indication that the strike would surely have finished LR off if he hasn’t used some uncommon sense. My brother spotted a deer in Mocho Creek last week. It was a doe. Having lived along Livermore’s Mocho Creek for much of our lives, we know that spotting a deer in the creek is unusual. So unusual that the last deer we saw in Mocho Creek was over 40 years ago. Our previous deer sighting occured on a warm day, probably in the fall of the year when Rob and I were hiking in territory outside our normal haunts. In what seemed like a remote area southeast of town, we found a dump where the landowners were leaving yard trimmings, old furniture and miscellaneous stuff. As we approached the dump, a young buck blacktail jumped from cover along the trail. My best guess is that I was about 11 at the time, so that makes it 47 years ago and even then deer were scarce that close to town. The site of that deer observation was where the Livermore Rodeo grounds have since been built. Unfortunately deer habitat in our area is in serious decline. Housing projects, vineyards, and small-lot rural development have fragmented habitat. Habitat that may have been good for deer fifty years ago has been rendered less healthy by an inability to manage habitat with prescribed fire. 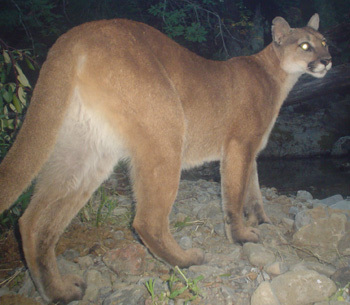 With an inability to manage the mountain lion population, hungry predator populations are trimming the remaining numbers of deer to the point where lions are forced out of their habitat and into the edge of town where they may find alternative food sources. For hunters, matters are even worse as more and more land that is deer habitat comes under ownership of public agencies that don’t allow hunting. The East Bay Regional Park District is one, and the City of San Francisco via its watershed lands is another. And, the future is not bright for hunting opportunities in the East Bay. As time passes more and more land will secede to land-owning agencies that do not allow hunting. Why? Pressure from the anti-hunting groups is only part of the problem. The bad public image of hunting is also a factor. Safety and liability issues contribute as well. However, hunting makes tremendous sense as a viable and compatible use with much of the land owned by these agencies. Hunting produces revenue. Hunting leaves a minor footprint on the land. 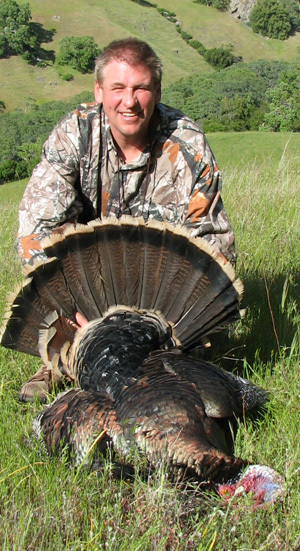 Hunting is strictly limited to open seasons, which occur during brief time frames. Hunters are licensed and trained in firearm safety. Restrictions on method of take can be used to create safe conditions. 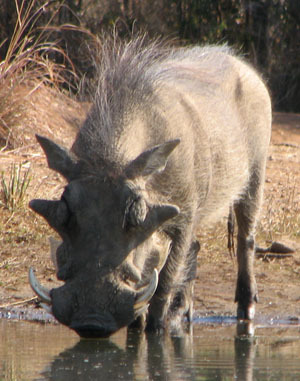 Game animal populations need to be managed – currently problems exhist with wild pigs and Canada geese. Thousands of acres of public lands are sitting out there wasting away. Yes there are a few cattle out there and some of our local ranchers are making ends meet while keeping up their rodeo skills, but why not get some tangible additional benefits from the land? Now, as mitigation for loss of wetlands and impacts to endangered species escalates, more land will be placed into conservation easements or turned over to agencies. If the current trend continues, these new conservations lands will be removed from private ownership and placed under management of people who do not wish to see hunting continue. It’s time for a change to this trend. 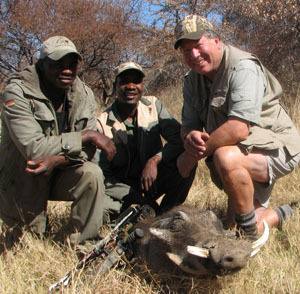 Hunters need to look for new avenues to insure that lands will continue to be hunted. Those that own land can help create solutions by looking for future owners who will continue to see that land is hunted. If park distircts continue to refuse to allow hunting, the State of California can be called upon to purchase lands through the Wildlife Conservation Board or new land owning non-government organizations can be established to replace the East Bay Regional Park District as a recipient of conservation properties outside the urban limits. It’s time for hunters to create a roadmap. The afternoon wore on as I patiently waited for a buck to cross the sliver of oaks that led to a patch of serviceberry that I hoped would attract a big buck. As the shadows lengthened my attention gradually shifted to the evening hunt – the prime event of the day’s agenda. Stepping from the patch of Gambrel oaks, I raised my field glasses and studied the drainage above me – a doe fed in snowberry bushes about 400 yards up the draw. Two other does stood in the shade of the oaks about half way up the side of the hill to the left of the draw. The wind was swirling, signaling that it would soon shift down canyon and I’d be able to proceed into the wind with a better chance of remaining undetected. Another look up the draw produced a new deer form, this one larger. I studied the white rump realizing that it must be a buck as the rump was two or three times the size of the doe I’d spotted earlier. I waited for the deer to raise its head. Wow, when it looked up a huge rack became visible. I couldn’t tell exactly how big, as the range was too great, but the rack was wide and heavy with many antler points. I quickly evaluated my options for a stalk. The buck was low in the draw, only about twenty yards from the bottom. I couldn’t go direct towards him, as that would take me through an open flat and sunny area where the bodyguard does would definitely see me coming. I could climb the hill to the right, follow a fence line to within a hundred yards of the buck, and then drop down behind him. That looked like the best option. Gathering my gear I climed the canyon about 400 yards below the buck. I could hear cattle in the draw, but I could probably circumvent them if I took the right route – wrong! As soon as the first cow spotted me the entire herd became restless. As the first few bovines began to move, I checked up the draw to see what the deer were doing. One doe was already staring in my direction. This route would not work. Backtracking, I glassed again for the buck. Another doe came into view and she stotted up the hill, a delayed reaction from the cattle. The stalk was ruined –at least for the day. I’ve been ruined by many other kinds of deer sentries other than cattle. Grouse, chukar, quail, robins, elk (when deer hunting), deer (when elk hunting), tree squirrels, chipmunks, ground squirrels and who knows what else have foiled my chances at the big one. Are they all in cahoots? Sometimes bucks act as sentries for bigger bucks. Once, on a Nevada buck hunt I missed a three-point buck, but before it ran off, it ran a few yards closer to me and awakened a larger buck bedded down even closer to me. Grouse have screwed me up many times, the most notable was during and Southeast Idaho mule deer hunt. I’d found a concentration of bucks at the top of a mountain where nobody seemed to be bothering them. After missing a good-sized typical-antlered buck in the morning, I waited patiently for the sun to wither away and provide tempting shade for bucks to make their way back up the north-facing slope. As the shadows lengthened I spotted two nearly-mature three-point bucks feeding their way up hill. I was sure I had one or the other. Nearly in range of the unsuspecting bucks, a shot was imminent when a grouse exploded from the grass at the top of the ridge, not only startling the bucks, but scaring every other living creature on the mountain – including me. Migrating robins can be a real bugaboo. On a Colorado archery hunt, they ganged up in oak groves and called excitedly whenever I passed nearby. No deer or elk would tolerate that. When hunting wild pigs in California, I’ve spotted the hogs grazing in the middle of a herd of spooky domestic cattle, so the cattle would warn the unseeing hogs if anybody approached. It’s a ripple effect, the same as one sees with a flock of ducks on a pond. All it takes is a couple ducks to flare up excitedly and gradually all the ducks on the pond will be in the air. It’s not easy being a predator. Back to the Colorado buck: The evening after my first failed attempt, I returned to the site where the big non-typical buck lived and got to within fifty yards of him at the end of shooting light, but a doe that I hadn’t seen gave me away and all I got was the satisfaction of getting close once again. 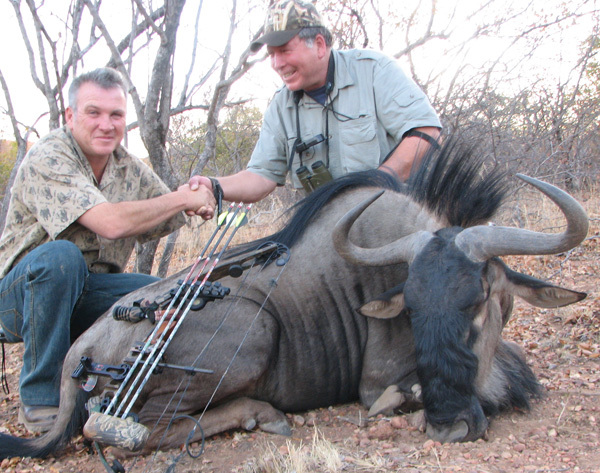 Stalking or still-hunting with bow and arrow is a nerve wracking experience. I’ll be back again. The big one doesn’t always get away. Deer seasons will begin again this summer. First comes the California coastal A-Zone archery season, then the inland archery season. We’ll hunt our local ranch during the A-Zone season. We’ll have over 1800 acres of land for hunting, giving us a good chance at finding a buck, but the bad news is we seldom connect. Hot weather, steep hills and wary black-tailed deer make the coastal season very difficult, but it’s a place to start. Then we’ll probably take to the big mountains for mule deer in the Sierras. That’s the real challenge. If we haven’t filled our tag after the archery seasons, we’ll pick up our rifles and try again. “How does your club shoot on a north wind?” was the response to my query. “OK,” I responded, “Not accustomed to being tested when inviting people to hunt on my club. Usually my potential guests were less direct. My nervous friend seemed to accept my statement and I finally got in tune with his concern. Here was a serious duck hunter with only four more shoot days before the end of the season. He was already feeling the pangs of withdrawal and couldn’t afford to waste one of the precious remaining few hunt days. With that understanding, I forgave him and we agreed to meet at Sherman Island public boat dock at 6:00 AM on Wednesday. I met Mark because COHA had been working on legislation for The Mule Deer Foundation (MDF) for several years in an effort to improve fundraising efforts for deer projects. As State Chair for MDF I had been the liaison for those efforts and Mark, along with Bill Gaines and Jason Rhine (COHA staff) had been regularly in touch with me as we developed potential legislation. 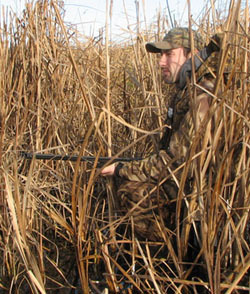 I knew Mark was a waterfowl hunter, but his attitude about the Wednesday hunt reinforced his seriousness. “Should I bring my dog?” was his next question. He accepted my response that although he could bring his dog if he wanted, I’d prefer that we hunted with just one dog (mine). That’s always a tough concession for any serious duck hunter. At first light, mallards began to lift off from the pond next to our camp where we sat pulling on our waders. I could tell that Mark wasn’t accustomed to our casual approach to water fowling. Mark relaxed a little, but I could tell it was taking all his willpower to hold back. A self-professed public area hunter, Mark wasn’t accustomed to standing around after shooting time. “We like to be able to identify drakes before we start shooting,” I commented. “Should I bring my motoduck?” he responded. Mark was OK with that, but before we left for the field he did ask one more time, just to make sure I hadn’t changed my mind. As the sun turned the eastern horizon red, we faced downwind and watched as flocks of pintails, widgeon and mallard circled. 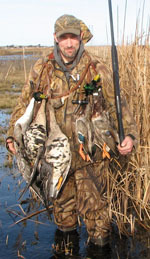 The first bird to drop was a drake pintail, shot by Mark. He was obviously pleased. After I missed a mallard, Mark knocked down another duck, a mallard, and I followed shortly thereafter by leading a double on white-fronted geese. The pond to the north of us was loaded with waterfowl of all shapes and sizes. We were content to sit on the downwind side of the pond and pick off a bird here and there. Before the day was done we had near limits of ducks and a couple specs apiece, a good day in anybody’s book. COHA stands for California Outdoor Heritage Alliance. All hunters should support COHA. Without their efforts, our hunting rights are in serious jepeody. 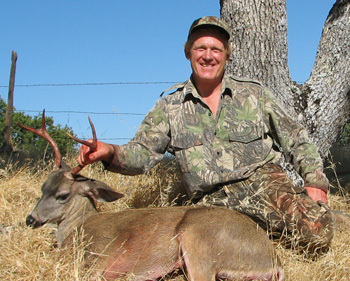 Hunters are outnumbered by a huge margin in California. We’ve got to make an effort to promote hunting, not just for those who enjoy hunting, but for the wildlife that depend upon the habitat that we hunters create. After a morning of enthusiastic and exhausting pheasant hunting, with a bird each in the bag, Rob and I trudged through a final field of marsh on our way back to camp. I glanced over to my brother, and he pointed skyward – above our main duck hunting pond. A large flock of mallards was circling and other flocks were appearing on the horizon. No telling exactly why, but our pond was loading up with mallards. The last field was devoid of pheasants. Just as well, I was pretty tired and one more chase was not what I really wanted. In camp, Rob grabbed his binoculars and glassed the sky. “You’ve got to see this,” he hollered. I grabbed my field glasses and joined him. From a half mile away, the sight was impressive. Dozens of mallards floated over the pond in preparation to land. Above them a second layer of mallards was circling at the base of the “grind.” Above those birds mallards could be seen bee lining from afar, like flocks of darts pointed in one direction. 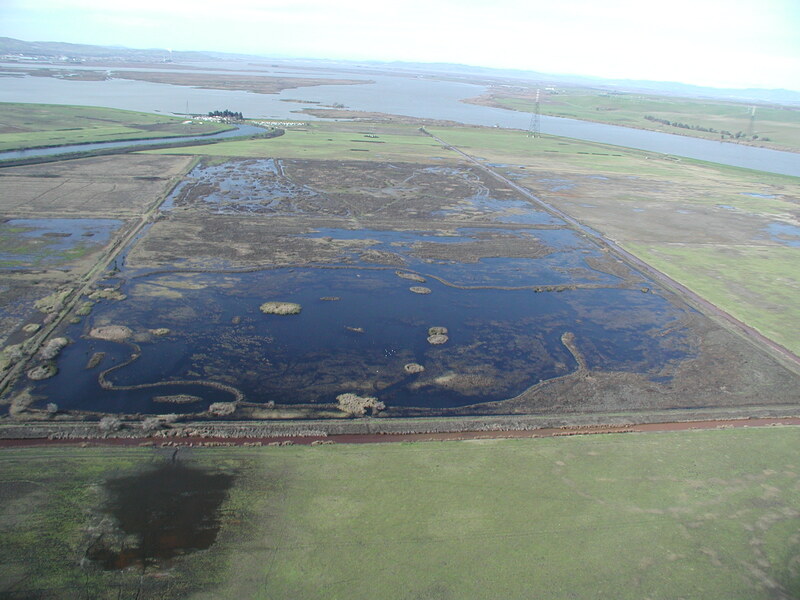 The target was our main duck pond approximately 75-acres in size. Several times I mentioned to Rob that we’d better come back out duck hunting in a couple days, but it was the satisfaction of knowing what we’d created that really hit home. This duck club was a field of corn until fifteen years ago when we purchased it. Since that time Rob, with the support of the rest of our crew, undid the “improvements” made by many men and converted the rows of crops into a shallow-water seasonal marsh that is one of the most wildlife intense properties on earth. The attraction of a seasonal marsh to wildlife is undeniable. 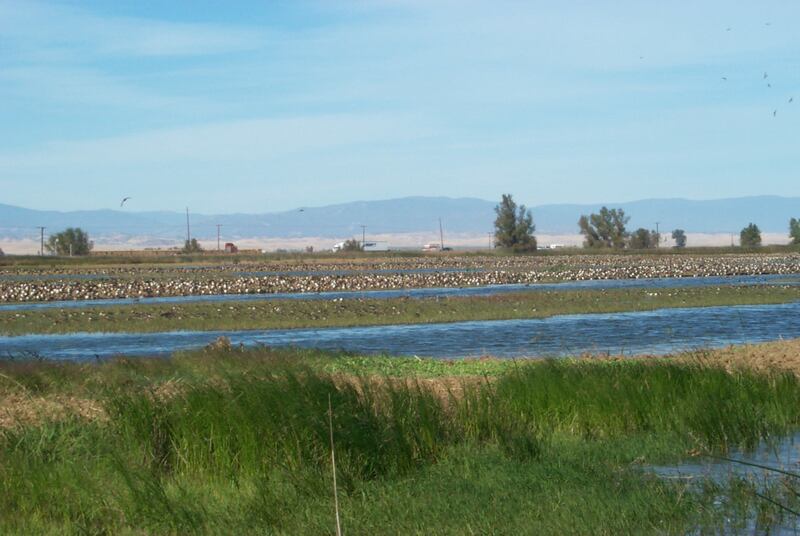 In California, managed seasonal marsh, such as ours, is very rare. 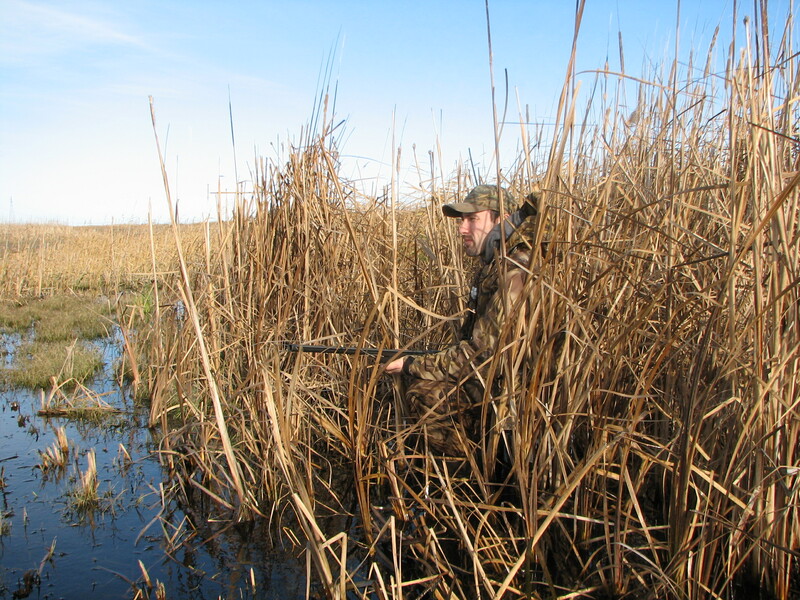 With agriculture utilizing every acre of farm ground for maximum production, the only producers of intensively managed marsh are waterfowl hunters – and most duck hunters have tight budgets which limit their ability to work the ground, irrigate and effectively manage their property. Our 75-acre pond would hold thousands of ducks by day and the surrounding 100 acres would hold even more by night as they fed on the almost endless supply of natural foods. To think that we were largely responsible for making a home for this frenzy of wildlife activity. However, it’s discouraging to know that it is so rare. This type of habitat is relatively easy to create, if one can escape financial boundaries. Hunting creates an economic incentive to set aside land for wildlife habitat. That’s why hunting is so important to the future of wildlife populations especially in California where wildlife habitat is the endangered species. 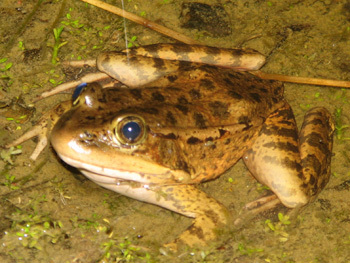 In addition to dozens of species of ducks (such as mallard, pintail, green-wing teal, cinnamon teal, spoonbill, widgeon, wood ducks, canvasback, redhead, golden-eye, bufflehead) and geese (white-front, Canada, snow, Aleutian) other game birds that flourish on the property include pheasants, dove and snipe. Non-game species are far too plentiful to list. Here’s a short list of birds we see on almost every trip to the property: Red-tailed hawks, Coopers hawks, sharp-shinned hawks, harriers, white tailed kites, barn owls, great horned owls, short eared owls, turkey vultures and kestrels. Water birds include curlews, stilts, avocets, phalarope, sandpipers, great-blue herons, American egrets, black crowned night herons, bitterns, grebes, moor hens, Virginia rail, sora rail, coots, various gulls and even white pelicans. We have warblers, marsh wrens, black phoebes, mocking birds, towhees, doves, pigeons, redwing blackbirds and starlings by the thousands. Mammals not as easy to spot, but always nearby are coyotes, skunks, possum, raccoon, river otters, mice, voles, mink and beaver. We once had a tule elk living on our property. There are crayfish by the thousands, which attract the river otters, which leave their smelly markings at every corner of the property. All this is there, only because we decided that the property was more valuable as a marsh than as a cornfield. Interestingly enough, this could happen more often, but hunters don’t often understand how to create habitat. All it takes is fertile ground, water, money and a plan. In return, one can be rewarded not only with great hunting, but a fullfilling sense of good will. The small sycamore tree stood atop a 20 foot high mound where it had been spared by quarry equipment. It remained an island in an otherwise barren gravel pit. From our vantage point, my brother, Rob, and I could see a valley quail sitting atop the branches of the scraggly sycamore – probably a lookout. We had learned that the best ammo for long range shooting with our slingshots was cat’s eye marbles. They didn’t travel fast, but they carried a lot of “retained energy” as modern ballistic experts would say. The other advantage was that they made good lobbing – and you could follow the track of the projectile and adjust your aim with each shot. Rob didn’t need to adjust on that day. His aim was true and at a range that I recalled to be about 150 yards, he dropped that quail from the tree. I was somewhat surprised and disappointed when I visited the sight a couple years ago. A house has been built where we stood, but the gravel pit remains nearly unchanged and the scraggly sycamore is still in place. The shot of a lifetime was really only about 30 yards. Things sure change over time. The hunting ground of our youth seemed endless, but in fact it encompassed only 100 acres or so. Conclusion: When your equipment is propelled by rubber bands, you don’t need as much hunting country. Our first local deer hunting spot was a 5,000 acre ranch that held a good blacktail buck population. We were quite fortunate to be able to hunt the ranch and could still hunt during the morning and then spot bucks under the shade of oaks and buckeye trees during the afternoon. Of the 5,000 acres, we probably hunted on more than half of it during the three or four days we’d hunt each summer. There was plenty of territory for us and the deer. Action was fast, but results were predictably low. Over the approximately five years we hunted there Rob killed three deer with bow and arrow. I didn’t kill any, but I did have my chances. Today that ranch is leased out to a small group of hunters who pay for the right to hunt. My guess is that there are five of them and they hunt primarily with rifles, taking a buck apiece each season. I’m sure their success rate is 100% or very close to that. Which brings me to the question – How many archers could that ranch support? We know it can support five rifle hunters with 100% success. If the archery success rate were close to the 30% that Rob and I experienced (relatively high), the ranch could support three times as many bow hunters with fewer deer taken. One can make a very good case that archery equipment expands habitat. Rick Copeland, manager of Wilderness Unlimited, a California hunting operation, understands that archery equipment extends habitat. That’s why two of their deer hunting ranches are open only to archery equipment. Members can hunt the ranches during the A- Zone archery season and again during the A- Zone rifle season. By hunting only with bow and arrow, they are expanding opportunity and maximizing the use of the non-migratory deer population. Weapon choice is not the only vaiable that effects the amount of hunting that a property can support. Of course the quality of the habitat is a huge factor. When we purchased an interest in our first 140 acre duck club we were amazed at how much hunting pressure it could handle. The habitat on the parcel was dense with berry bushes and thick patches of stinging nettles. Tall stands of Johnson grass and many other weeds added to the ability of game to utilize the property – especially pheasants. 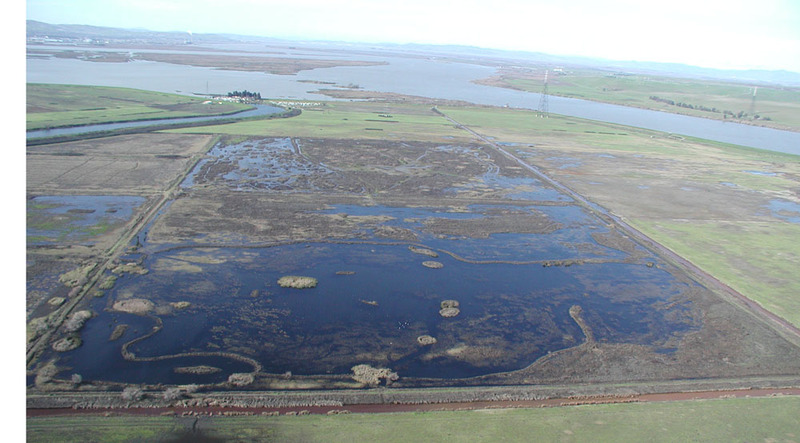 The heavy growth and several large sand hills effectively parceled the property so that hunters could hunt ducks or geese with little interference from the others. After title to the property changed hands when we sold, the new landowners removed all the dense habitat and disked up the open space between corn fields. The property character changed and the amount of hunting pressure it could support dropped accordingly. Although we still have reasonable hunting, it’s not like it was. The same principle applies on upland ranches. Ranchers that graze heavily leave little escape cover for deer, turkeys or pigs, but ranchers who leave habitat in place have more game that supports more hunting pressure. Of course other factors, like topography are a major consideration. So is water, climate and soil structure. Some property is just plan more productive. 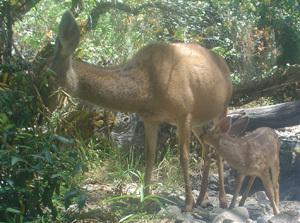 On hill ground in California, creeks, springs and waterholes play a major role in wildlife density and game management and weather patterns can vary greatly within only a mile or two. Exposure to the sun plays a huge role in habitat quality. Location plays a role in many ways. Who are the neighbors? Do they hunt? If the neighbors do hunt, how hard? Do they stay within their boundaries? Is poaching a constant problem? Are there roads through your property to cause disturbance and increased trespassing. The aggressiveness of the partners is a major consideration. If you’re in a partnership, how much will each partner be allowed to hunt? It should be spelled out. Will there be hunt days and rest days? How many guests will each partner be allow to bring? You have the ability to craft out an agreement that improves the quality and equality of hunting opportunity for the partners. In the end, the partner that hunts is the one who will enjoy the property the most. There are always those who seem to reap the most rewards, but that’s life. The days of picking up your shotgun and heading to the hills to hunt without paying a fee are long gone. The next question is, are you going to put yourself in control of your destiny or roll the dice to see if you can find a place to hunt? In fact, not only your destiny as a hunter, but also the destiny of all hunters is tied to the answer to this question.